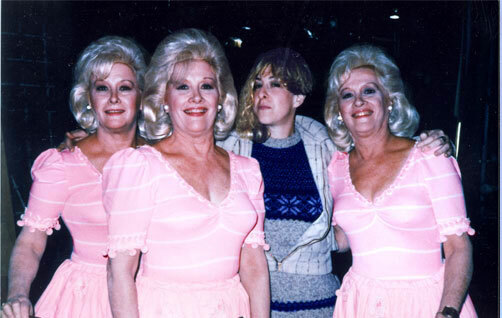 Allee Willis Blog » R.I.P. 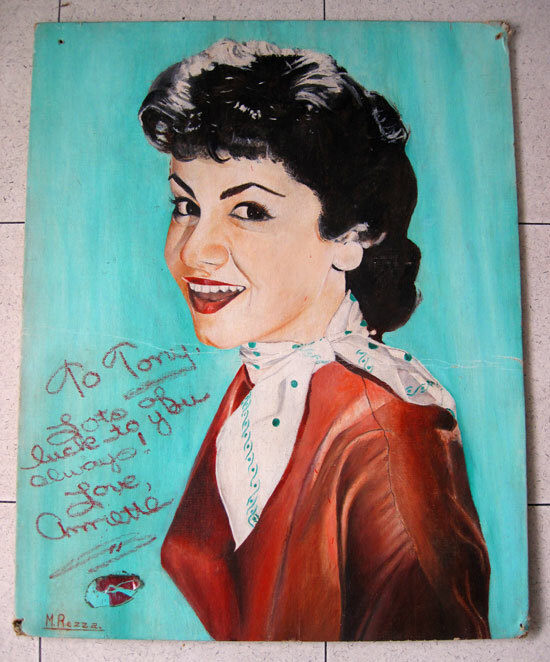 Autographed in lipstick by Annette, one of my earliest star obsessions and with whom I shared much chocolate milk watching after school every day, this portrait has long been one of the most cherished renderings in my kitsch likeness collection. I found it laying face down in a puddle outside of a thriftshop in the pouring rain in the mid 80′s. 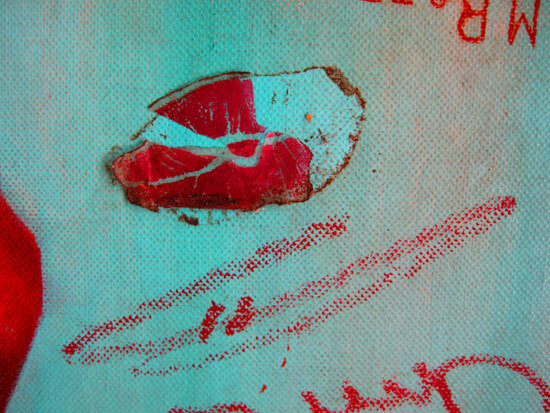 That big blotch of red in the bottom left corner is a cut out of her actual lip print on cellophane. The lips were almost all there despite sitting in that puddle for God knows how many days, weeks, or months and held on for at least another 20 years until the sun pouring through the window smiling at them at my place everyday finally took it’s toll. Unfortunately, Annette and her lips finally lost their long battle with MD today. 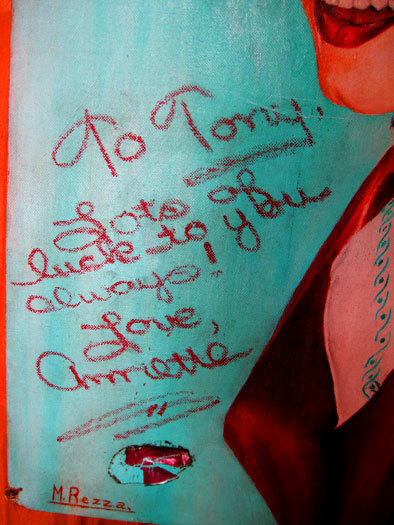 Don’t know who Tony is but his heart had to have skipped a beat getting this autograph from Annette written entirely in Love That Red or whatever 50′s shade she wore. 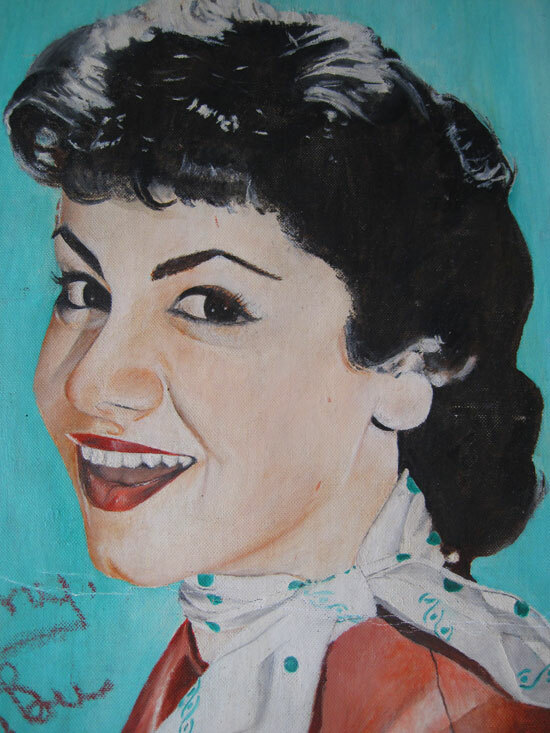 Just like Annette to whom ‘now it’s time to say goodbye…”. R.I.P…. What are the odds of losing two of the most influential songwriters of all time on the same day? That’s what happened yesterday. First, Jerry Lieber, whose “Hound Dog” got the Elvis-not-to-mention-Rock-’n-Roll train rolling, and then Nick Ashford, a songwriter whose influence on me was immeasurable. I never met Jerry, though I wrote a bunch of songs with his son, Oliver, in the early 90′s. But Nick I knew and loved. Not just as a songwriter who wrote my favorite song of all time but as one of nicest guys around. His eyes always sparkled, he was always smiling and soul oozed out of him as naturally as breath. Along with his brilliant wife and collaborator, Valerie Simpson, Nick turned out the kind of songs that made my songwriting head spin. Can you say “Ain’t No Mountain High Enough”?! How does a song get any better than that?? In any of the zillions of versions of it that exist? And that’s just the tip of the hitberg. Yesterday, iconic TV host Art Linkletter passed away. Even as a little kid Art seemed a little square to me but there’s no doubt that he pioneered many of the formulas of today’s TV shows with segments like celebrity guests, cooking, talking to kids and audience quizzes. 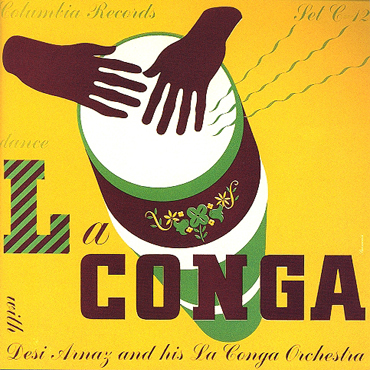 His big two hits which between them ran from 1952 to 1970, House Party and People Are Funny, were massively popular. 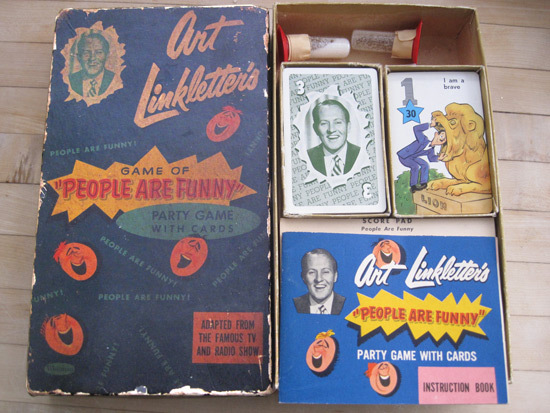 This ‘party game with cards’ spun out of the latter and continued in people’s living rooms what was so popular on Art’s shows - getting everyday people to do dorky stunts like trying to cash a check written on a watermelon and make fools of themselves, oftentimes ending up with a pie in the face for failing. It’s obvious that Linkletter’s tactics are still very much alive on TV today. Anything that took off as fast as Farrah’s hair did when Charlie’s Angels debuted in 1975 – 80% of females on earth immediately sheared their manes into replicas – insured immediate Kitsch Kollection status for all products released in association with the legendary locks. 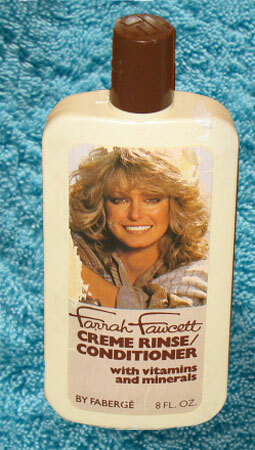 Although no one’s hair could have been further from Farrah’s than mine, I bought this bottle of Farrah Creme Rinse/Condtioner by Faberge the day it hit the shelves in 1978. I never intended to open it but a tragic haircutting mistake forced me to pop the cap and see if its magic powers worked. Categories: Afro, Art, Celebrity, Hair, Health & Beauty, Kitsch, Kitsch O' The Day, Memorabilia, People, R.I.P.